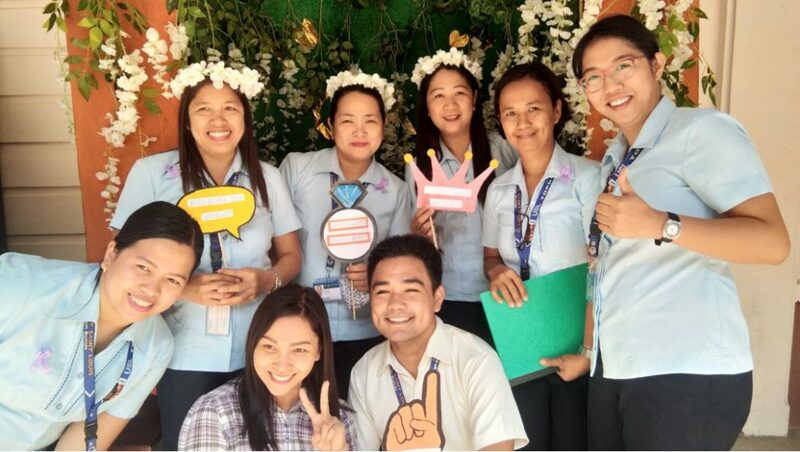 As part of the worldwide observance of International Women’s Day celebration and in response to the University of Saint Louis (USL) Gender and Development (GAD) Program, the College Guidance Center conducted activities to students and employees last March 7 and 8, 2019. The activities revolved around the theme: Better the Balance, Better the World – #BalanceforBetter. To help students engage in more fulfilling and healthy relationships, the Center conducted a seminar to first year college students on March 8 at the N-Hall. (Left photo) Students’ growth session with the Vice President for Mission and Identity. (Right photo) The VPMI and College guidance counselors with the students. The VPMI noted the significance of putting Christ as the center of every relationship, sharing his experiences for students’ reflection. He mentioned that in order to have healthy relationships, there should be freedom, trust, open communication, and prayer. One of the biblical passages that he shared was: “Come to me all of you who are weary and carry heavy burdens, and I will give you rest.” According to him, when people trust and follow Jesus’ teachings, life will be lighter. In his talk, Fr. Silva also said that “Before deciding on something, we must think through the consequences of our actions.” He further mentioned that one must not allow others to harm and abuse him/her. To enhance students’ learning and interest about women empowerment, strength and resiliency, a film viewing was held last March 7, 2019 at the College Guidance Testing Room. The movie entitled Hidden Figures was viewed by first year students who were made to write their reflections after their film viewing. 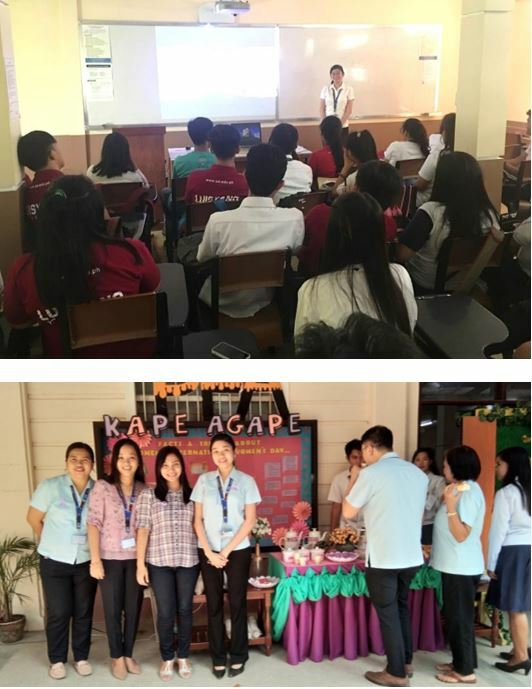 As part also of the GAD Campaign activities, the College Guidance Center, in partnership with the Peer Facilitators’ Association (PFA), installed a photo booth and “Kape Agape” corner in front of the Center. The counselors invited employees and students for free coffee, food and other drink items with inspirational quotes on the paper cups. The participants were encouraged to pin purple ribbons to raise awareness and show support for the program. Also, some students and employees took pictures holding women empowerment shout-outs.